18″x24″ mixed media painting on wood. The sides are 1.5″ deep and are painted red. Available HERE or directly from artist maria@mariapacewynters.com. This entry was posted on March 21, 2013 by mpwynters. 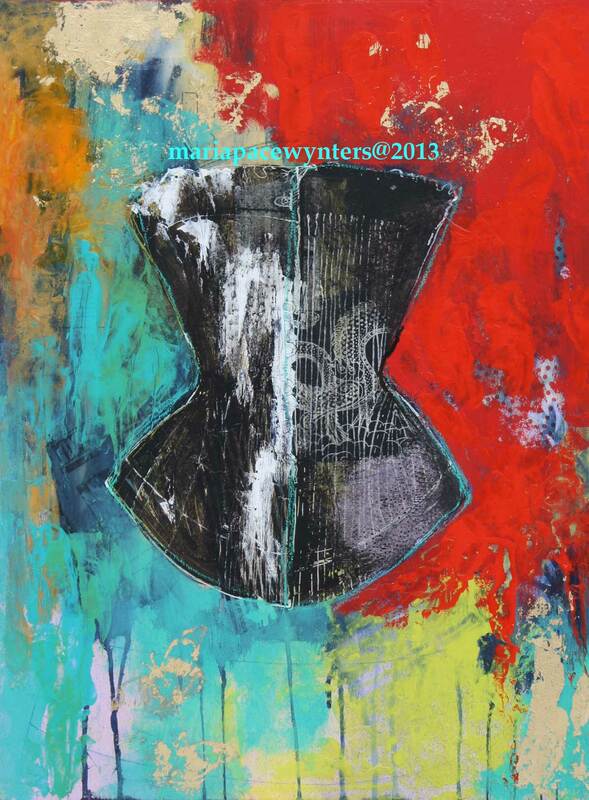 It was filed under black and white stripes, bright colours, Maria Pace-Wynters, mixed media and was tagged with corset, Maria Pace-Wynters, mixed media.